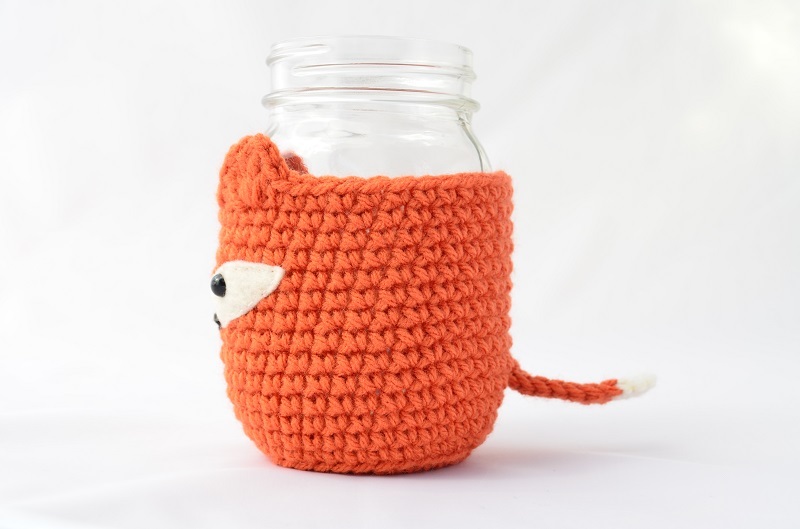 Be the only person in the coffee queue with this unique, super cute fox mason jar cozy that looks adorbs and keeps your hands from burning! 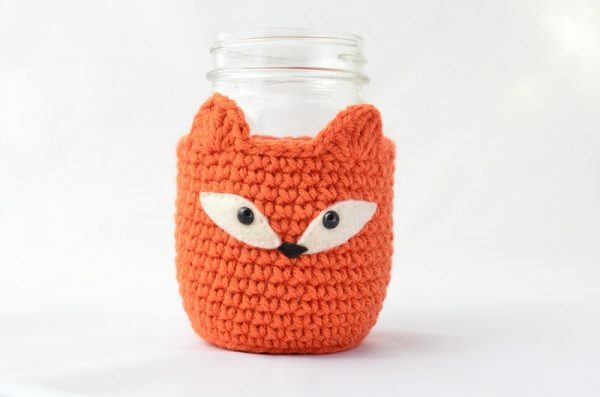 Make your coffee, tea, hot chocolate, or any other hot drink fun and unique with this super cute fox mason jar cozy! 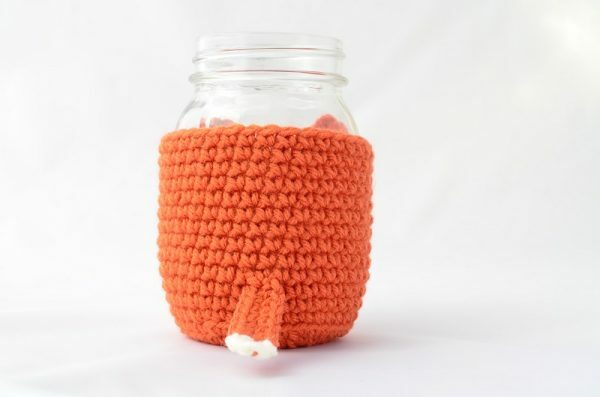 No matter how hot the drink is, this cozy is guaranteed to protect your hands from the heat. 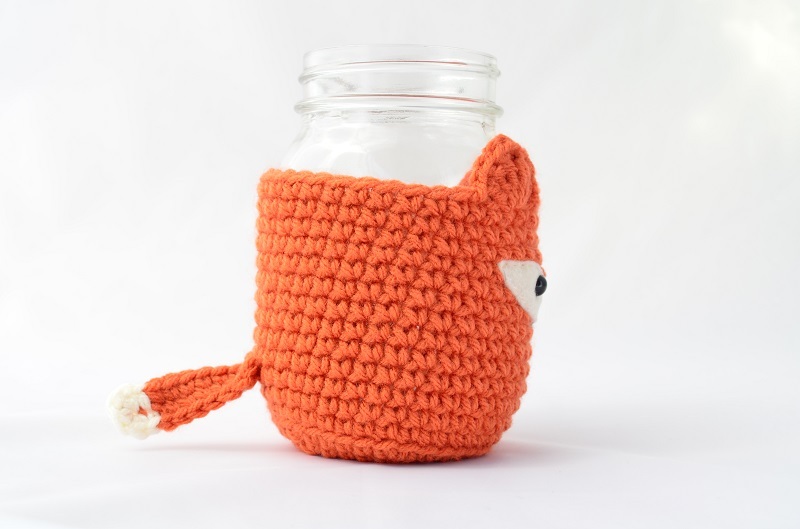 This fox mason jar cozy is designed to be used with a 500ml mason jar (not included) that is 26cm / 10″ in circumference and covers the bottom 9cm / 3.5″of the jar. I purchased this fox cozy on Etsy as an especially cute solution for holding my mason jars after I heat them up in the morning with cocoa or soup. Mason jars are super convenient for me, since I collect tons of them for pickling, but they need a little something extra if you want to have a hot drink out of them, since they’re not double-walled. 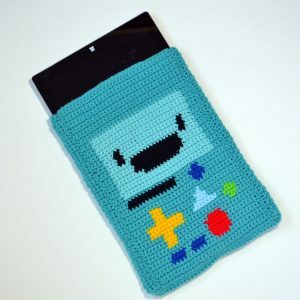 When I saw this cozy as one of Patricia’s patterns, I reached out to her to see if she would sell me a finished product. 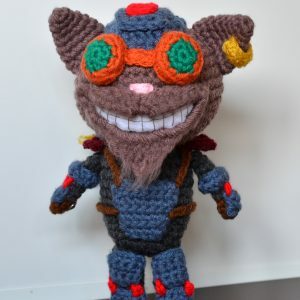 She was super accommodating in creating a custom order for me and gave me several options, beyond what I saw in her Etsy shop! I purchased 2–this adorable fox to use in my office and the blue bear cozy to keep at home. Shipping was timely as well, and relatively cheap at $5 for coming all the way to me from the Great White North! The cozy is simply-designed but well made and clearly knitted with love. 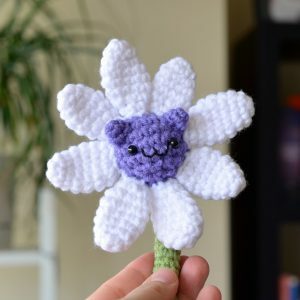 And it literally could not be cuter–it has a tail! I love the vibrant shade of orange as well–it came to me exactly as pictured. Using it brightens my day, and I’m so happy to support a boutique designer who makes well-crafted products!